. These Things Happen, think a modern My So-Called Life and an untitled drama about the first black president at a prestigious liberal arts college. This will be one more project to keep Cody busy as she also has Prodigy, a teen drama at Fox, and a comedy for ABC, Alex+ Amy. 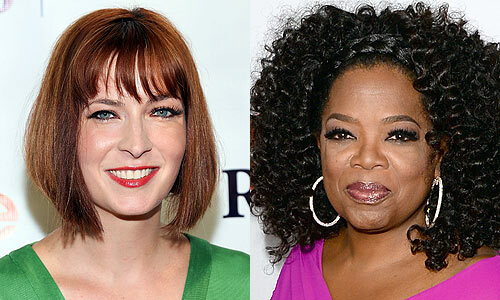 To vie for her attention is also a TBS talk show pilot, Me Time With Diablo Cody. This is the second attempt from author Holland’s work to go small-screen. Her 2010 book, Weekends at Bellevue: Nine Year on the Night Shift at the Psych ER, (What is it with her and these bloody long titles?!) went to pilot in 2011 but was not picked up. This entry was posted on Tuesday, November 26th, 2013 at 12:48 pm	and is filed under News, Television. You can follow any responses to this entry through the RSS 2.0 feed. You can skip to the end and leave a response. Pinging is currently not allowed. Do you know what a straight flush is? It's like... unbeatable. "Like unbeatable" is not unbeatable. Hey, I know that now, okay.